Meadows Dental Group is committed to guiding our patients to the best possible treatment option. Dental insurance doesn’t always cover the best treatment option, which is why we offer our patients multiple savings and financing selections in order to make high-quality dental care affordable. You may be eligible for upfront savings during your first appointment with a free consultation. Meadows Dental Group does not charge for consultations involving only one tooth or area of the mouth (equivalent to a single X-ray). Standard fees apply to more extensive issues, which require a complete examination in order to assess the ideal solution. Our dentists will take the time to discuss potential treatments and all of your financing options. Find out if you are eligible for a free consultation by calling 303-790-2323 today. 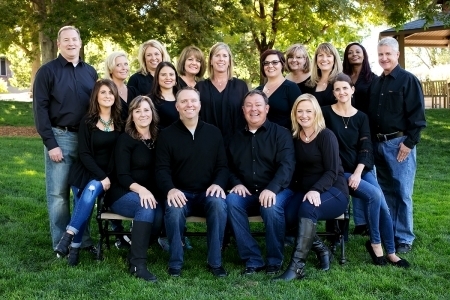 Meadows Dental Group serves Highlands Ranch, Centennial and other nearby communities from our office in Lone Tree, Colorado. If you are able to pay for treatment in full, we offer a 5% discount for cash or check. Seniors enjoy a 10% discount. CareCredit is the nation’s leading financing option for dental treatment. Functioning like a regular credit card, CareCredit provides flexible payment plans for a host of procedures, including preventative care and restorative and cosmetic dentistry. Applying for CareCredit online is easy. Once you’re approved, you will have access to short-term and long-term financing options. Payment plans are interest-free for up to a year! At Meadows Dental Group, we take all insurances as long as you have the availability to go to the dentist of your choice. Our in-house Insurance Coordinator will call your insurance company to get a full understanding of your benefits. Even if you don’t see your specific insurance plan listed here, we are still happy to serve you! Our helpful team members will even process your dental claim for you. Most dental plans don't offer coverage for all procedures. Generally, your insurance benefits will extend to part of the cost, and you will be responsible for the rest. When you consider dental treatment, it is important to think about more than just your dental benefits. You are the best judge of the dental work you need, and our dentists and team members will work with you to find ways to fit care into your budget. Team members at Meadows Dental Group can help you apply for CareCredit, submit insurance claims and more. Call 303-790-2323 to learn more about our free limited consultations or to schedule a comprehensive exam with our skilled and experienced Lone Tree dentists.